Advanced Recovery & Immune System Support. Glutamine Is The Most Abundant Single Amino Acid In The Body And Its Considered To Be Conditionally Essential During Times When The Body Is Undergoing Large Amounts Of Stress (Ex: Heavy Exercise). Stress On The Body Can Also Result In Inadequate Amounts Of Alanine, Which Along With Glutamine, Is Considered To Be The Most One Of The Important Of The Amino Acids. . Alanine Has Also Been Shown To Support The Immune System As Well As Energy Production And Metabolism. 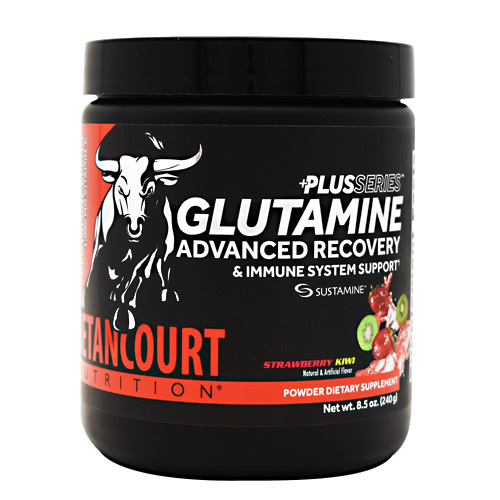 Glutamine Plus Also Features Sustamine, A Unique Dipeptide Ingredient That Combines The Amino Acids L-Alanine And L-Glutamine To Help Your Body Rehydrate, Replenish And Recover Along With The Rest Of The Glutamine Plus Blend. Sustamines Dipeptide Structure Is Quickly And Easily Absorbed By The Body. Directions: Mix 1 Scoop With 8oz Of Water Or Desired Beverage During The Day, In Between Meals Or During Training. Glutamine Plus Can Be Taken Stand Alone or With Other Products. Warnings: Pregnant or nursing women should not use this product. Discontinue use and immediately consult your health care professional if you experience any adverse reaction to this product. Do not exceed recommended serving. Keep out of Reach of Children, Store in a Cool Dry Place.